The following is a guest post about dollar cost averaging by Kevin Monk who writes at FinanceForDummies.net, a finance and personal finance blog. If you’d like to submit a guest post to Money Q&A, check out our guest posting guidelines. Investing has always been a complicated proposition for the average person. They know that they should not simply keep their money in savings accounts and certificates of deposit (CDs) since inflation eats up their funds much faster than interest payments replenish them. Most people also know that the stock market is a more attractive vehicle in many cases than bonds or real estate. But the risks of the stock market are clear with every bit of bad news that breaks. Dollar cost averaging offers investors a way of avoiding those risks while also taking advantage of the massive amounts of wealth generated by the stock market. Investors in stocks are always afraid of risk. Stocks lose their value, sometimes completely when a company goes out of business. Investors are afraid of losing a major part of their portfolios because of a bad bet in a company, a potential result given that most people do not have hours and hours to devote to market research. Stocks can be a confusing morass, often dictated by the whims of institutional investors and the market instead of factors that an investor can understand and predict. Dollar cost averaging presents a way to avoid the potential pitfalls of the market. In effect, it bypasses the attempt to pick winners over losers and buy stocks low while selling them high. This approach, especially when compared with a mutual or index fund that purchases a broad swath of the market, can reduce much of the guesswork often associated with the ups and downs of the stock market. Dollar cost averaging simply directs a fund to buy the same monetary value of assets at a regular interval, like every month or quarter. This practice means that a person is not jumping head-first into stocks. They are able to take their time and see how comfortable they feel with their money in the market. Investors may keep much of their money in bonds or even in cash in a checking or savings account until the regular withdrawal to the brokerage account occurs. If they pick a stock and it does not work out for them, they have not lost all of their funds; they have only lost a month or a few months’ worth of investments. In addition, the stable monetary rate means that the individual will buy more shares when the price goes down and fewer shares when the price goes up. This process ensures that the investor will gain a considerable number of shares and always make money over the long-term as long as the stock market continues to grow, and that has been the case even with short blips during the Great Depression and Great Recession. For an example, say that a share of stock costs $10 and an investor had $1,000. He or she could buy 100 shares at $10, but then if the price went down to $5 next week the investment would only be worth $500 and they would have lost 50% of the value. It would take a long time to build back up that value, and some investors would get scared and want to move out of the investment. However, dollar cost averaging would lead to a completely different outcome. This approach would involve the investor with $1,000 only spending $100 to buy 10 shares of stock at $100. Then, when the price dipped down to $5 per share, they would buy 20 shares at $100 again. If the price went back up to $10, they would have a 100% return on those 20 shares, and their future investments would be protected. This approach is not for everyone, however. Some investors are perfectly happy with risk and want as much risk as possible along with their investments. In that case, dollar cost averaging would not be advantageous. While engaging in this practice, a large amount of money has to sit in cash while small amounts of it are invested in stocks on a regular basis. Many investors want to see returns fast and are sure that the market or their chosen stocks will continue to increase. Other investors may avoid dollar cost averaging because they want their returns quickly. 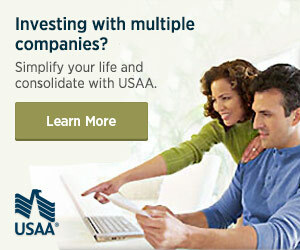 They do not have months or years to add small investments on a regular basis and wait for those investments to grow. However, for people who are interested in long-term or retirement investing, dollar cost averaging works. A Vanguard study suggests that the returns are smaller from dollar cost averaging than from traditional investing, but the risks are also smaller as well. If an investor believes that they are perfect at picking stocks or that the stock market will continue to go up forever, they may want to invest in a traditional way with a traditional broker. But if an investor wants to be prudent and secure long-term gains, they should consider dollar cost averaging today. What do you think? Does dollar cost averaging really work? Are you using it with your investments?